Is There a Difference between a Children’s Dentists and a Pediatric Dentist? Regular dental care isn’t just important for adults—children need it too. But are all dentists the same when it comes to offering dental care to kids? For instance, if one doctor says he’s a children’s dentist but another says he’s a pediatric dentist, are they saying different things? In short, the answer is yes. Even though a children’s dentist is perfectly suited to providing kids with care, in most cases, that means children who are three years old or older. Pediatric dentistry, on the other hand, is a specialty recognized by the American Dental Association and requires special knowledge of how to treat very young patients. At Westside Dental Associates, Dr. Les Latner offers specialized pediatric care. Dr. Latner has trained as a pediatric dentist at Children’s Hospital/L.A. and USC and teaches pediatric dentistry at UCLA. That means when your child’s first tooth comes in around the age of one, you know who you can turn to for help. Children should see a dentist from the moment they have their first tooth. That’s because monitoring the development of teeth is important. If they aren’t developing properly, or if there’s a complication, Dr. Latner can provide effective care that your child will benefit from going forward. We can also look for and treat gum disease and tooth decay, just as we would in older patients. Preventing and treating these in young patients is important. Do you have a child or grandchild who has developed his or her tooth, or will soon? Call Westside Dental Associates to schedule an oral evaluation appointment. We’re proud to serve patients of all ages from Los Angeles, Santa Monica, Beverly Hills, West LA, Mar Vista, and all surrounding areas. 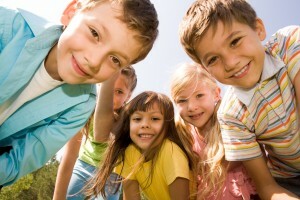 Comments Off on Is There a Difference between a Children’s Dentists and a Pediatric Dentist?